You have great friends beyond this world. That is why humanity is seeking to enter into the Greater Community because the Greater Community represents a broader range of its true relationships. You have true friends beyond the world because you are not alone in the world and you are not alone in the Greater Community of Worlds. You have friends beyond this world because your Spiritual Family has its representatives everywhere. You have friends beyond this world because you are working not merely on the evolution of your world but on the evolution of the universe as well. Beyond your imagination, beyond your conceptual capabilities, this is most certainly true. Feel, then, the greatness of the universe in which you live. Feel, then, the opportunity you have to serve the Greater Community of which your world is a part. You serve your great friends within the world and your friends beyond, for the work of Knowledge goes on everywhere. It is the attraction of God. It is the application of good. It is the force that redeems all separated minds and gives purpose, meaning and direction to the universe. Regardless of the mechanism of physical life, its value is determined by its origin and its destiny, both of which are beyond your comprehension. Realizing that Knowledge is the means that propels the world in its true direction, you can then value and receive that which gives your life purpose, meaning and direction. 2 Responses to "Humanity has true friends beyond the world"
development. I don’t doubt that we will experience a new religion when the time is ripe. 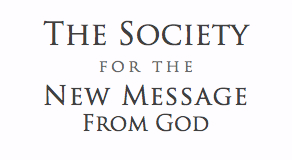 The New Message is a new world religion, in its very early stages. The time is ripe now and it has arrived. It has come precisely because we are in an unprecedented crisis. When a New Revelation comes to Earth, it comes in as pure truth, unadorned, with no religion yet developed around it. This has always been true. has spread to become a major religion in the world, serving vast regions of the human family. This time the Revelation is here for the entire human family, for God would not leave humanity without guidance when we are unprepared for emerging into the Greater Community of intelligent life. As you read the New Message, experience the words through this lens. Take in the pure truth as it arrives, and realize that if humanity survives this threshold, this Revelation will take its position as part of the ongoing Revelation from the Creator to the world.